That's despite motorists abandoning their cars. The snow response plans for the A38 and A380 was activated at midday on Thursday, in advance of the first snowfall, with spotters in place to monitor conditions and gritters and ploughs on location and on standby to respond to any deterioration in conditions. 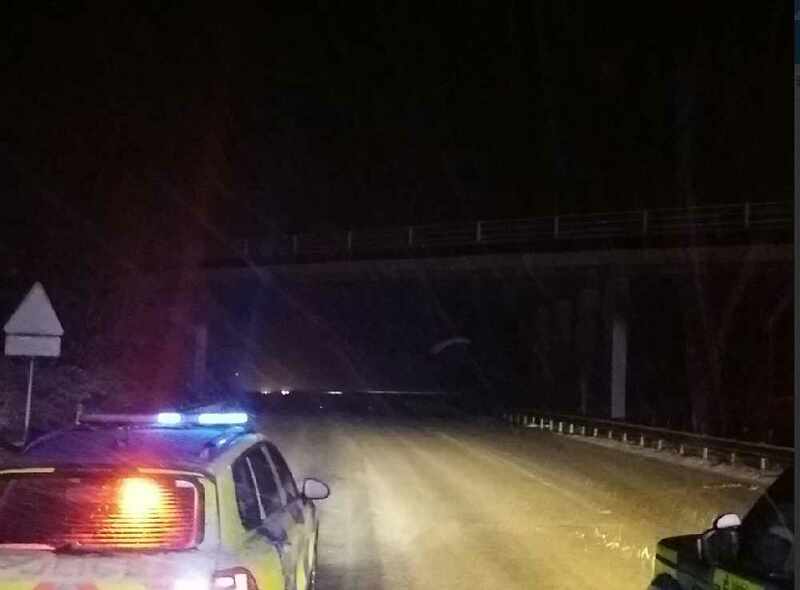 The A38 road at Haldon Hill was closed for three hours on Thursday night from 6.30pm as a result of the snow, reopening at 9.30pm, while the A380 Telegraph Hill reopened three hours later. Cllr Stuart Hughes, Devon County Council Cabinet Member for Highway Management, said that the resources that the council and partner agencies deployed enabled precautionary gritting to be carried out, the road was temporarily closed for the safety of road users, and that the action plan put in place meant that motorists were not stuck in their vehicles for hours. The decision to close the hills was taken to prevent drivers from accessing the major Devon transport routes at the A38/A380 fork for their own safety, but some motorists caused huge problems for the emergency services by abandoning their cars in the middle of the carriageway in a desperate attempt to get home. Gritters and snow ploughs were left unable to get through the queues in order to clear the carriageway as quickly as initially hoped. Cllr Hughes told the Local Democracy Reporting Service: “The Haldon/Telegraph severe weather plan has been effective in minimising disruption to the travelling public during this latest snow event. “The plan was implemented well in advance of the first snowfall, with the forward control point manned from midday yesterday following close liaison throughout the week between the County Council and its partner agencies. “The extra resources deployed to Haldon and Telegraph Hill enabled precautionary gritting to be carried out and conditions to be monitored. Haldon and Telegraph Hill both received several treatments before any snow started to fall. “Later in the evening, during the heaviest snowfall, progress with treatment and clearance was hampered for a time, when several vehicles experienced issues with traction at Ideford Dip, temporarily closing the A380. The A38 was also closed for a time when a lorry became stuck at Haldon. The Haldon Hill action plan was set up after in 2009 and 2010, dozens of motorists were stuck following blizzards on the high ground. The plan includes ‘spotters’ being deployed at strategic points, and a forward control point will be established at Kennford to monitor conditions. Rolling road blocks are used by Highways Agency officers who can release traffic at controlled intervals when lane one is sufficiently clear of snow. The county council had also taken to Twitter to warn motorists to only travel if necessary and that some of their clearance work was hampered by abandoned vehicles on the highways. And they warned that with temperatures across the county set to dip significantly tonight, dropping to minus 5 degrees in places, minus 3 degrees in Exeter, to still take care on the roads, even though no further snowfall was being forecast. Cllr Hughes added: “It is going to be an exceptionally cold night tonight annd with the snowy weather we’ve had, the roads are wet and therefore are likely to become icy. Gritters will once again out again during the night as road temperatures drop below zero. In the last 36 to 48 hours, more than 2,000 tonnes of grit have been deployed across the Devon highway network. The response has called on the council’s fleet of front line vehicles, including 49 dedicated gritters as well as snow blowers, tractors and ploughs. And there has been additional support provided by the council’s subcontractors.